Inexpensive Wholesale Colorful Pad Holders - Padfolios, Personalized in Bulk or Blank. Bulk Discount Non-Woven Colorful Pad Holders on sale. Large size: 10"x13" with 8-12"x11" writing pad included. We also supply blank (not imprinted) wholesale Non-woven Pad Holders for $4.99 each (minimum quantity: 50). 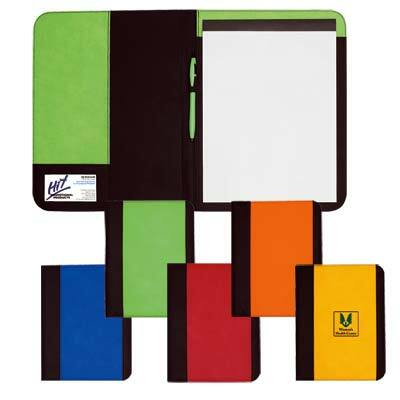 Lowest cost in USA and Canada for wholesale promotional Pad Holders. American clients pay no taxes.